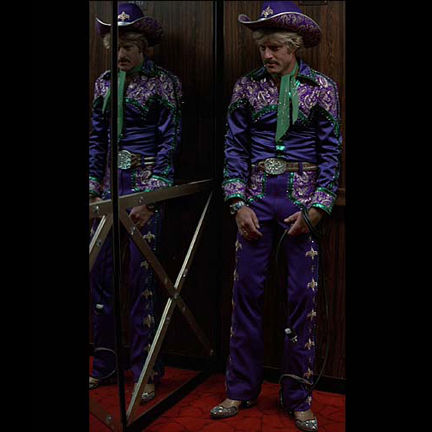 This pair of cowboy boots was worn by the character Sonny portrayed by legendary actor Robert Redford in the 1979 motion picture The Electric Horseman, which also starred Jane Fonda and Willie Nelson. 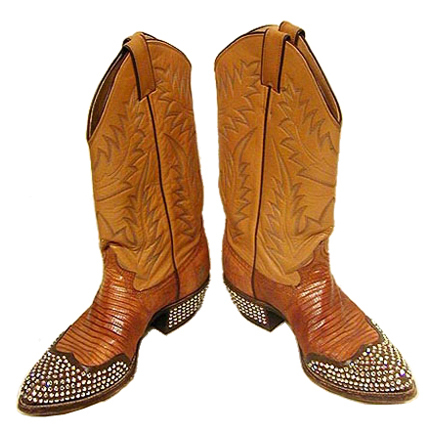 The size 9 D leather and snakeskin boots with rhinestone studding were custom made for use in the production and are in excellent condition with some minor loss of studding on the heels from wear. 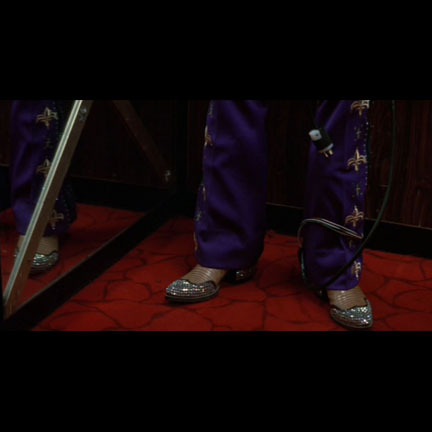 Mr. Redford wears the boots notably in the opening of the film and in several other scenes when the Sonny character appears at promotional events. Accompanied by a letter of authenticity from the costume house.